It has been said that you should do what you love and you will not consider it a job. Charlotte Williams, the owner of Pinwheel Fabrics is living her passion and loving every minute of it. She has been sewing most of her life. Starting out very young and and trying her hand at everything. In the early 70's she settled on quilting. She started traditionally piecing by hand and over the years evolved to using the sewing machine for the complete process. It has been a fun journey learning new techniques and hopefully the journey has just begun. Pinwheel Fabrics is sewn into their community. A certified Janome and Handi Quilter dealer and repair shop. We have been supporting local quilt guilds and proudly serving Central Arkansas’s quilters since 2004. We have become well know for our promotional Sampler Block of the Month each year starting in December. The idea it to get all 12 blocks for the joining fee of $10.00. But this requires work on the participants part. 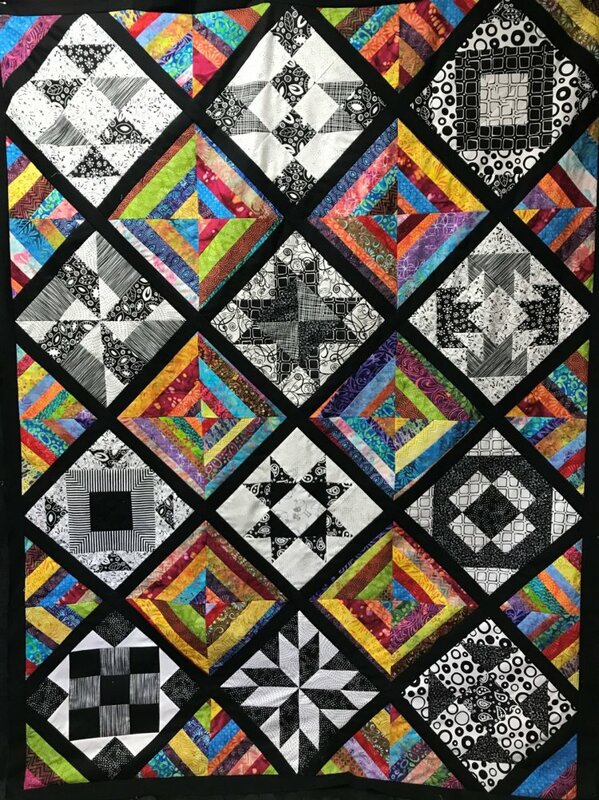 After purchasing the first block for the joining fee the quilter must make the block at home and bring the finished block to the shop on the promotional dates. On these dates, we have an event you must participate in to get the next block at no money exchange. If you cannot make the promotional days or you did not have time to get your block made, do not worry we have blocks to purchase each month. Anyone can purchase a block any time after the meetings. The promotional is only 12 blocks. We have a sample of finished quilt using your blocks. This usually requires additional fabrics for alternate blocks, borders, and bindings. 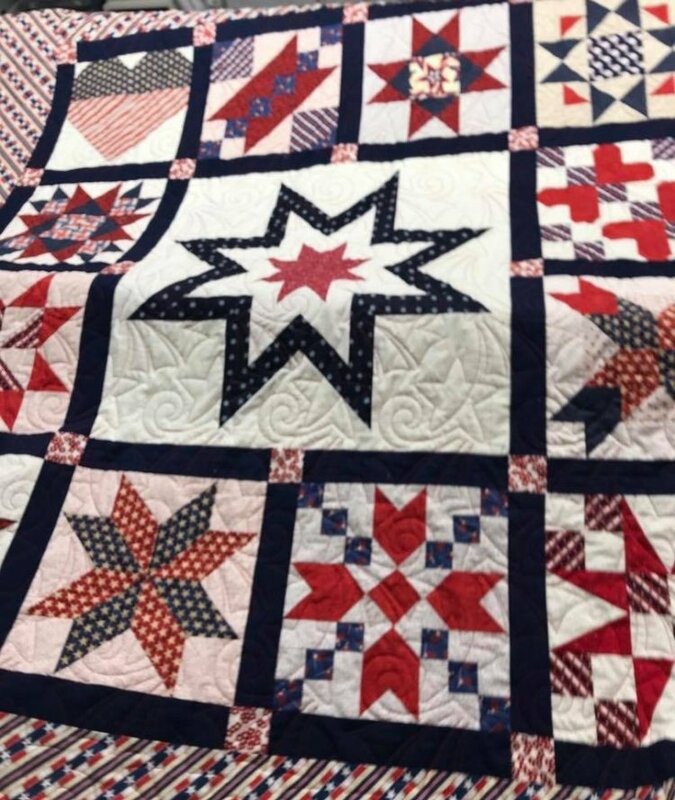 This year (2018) we are doing Patriotic theme quilt. The last one was (2017) Black and White. The alternate blocks are your choice of fabrics.